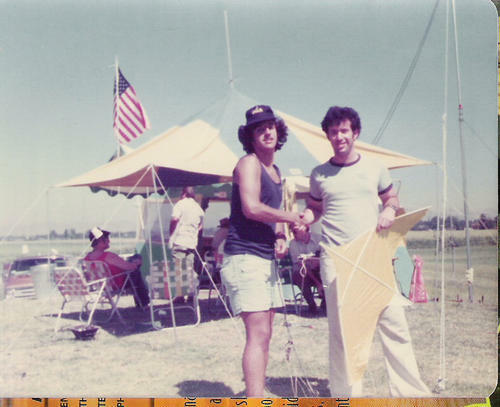 1976, Field Day @ W6SD. Field Days were the time of year Ted Ryan, WB6JXY's (sk) John Burroughs Jr. High School (JB) students looked forward to the most. We got to go on an adventure. 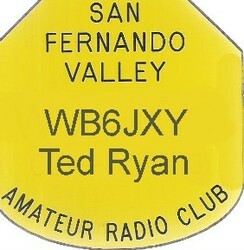 We went to the San Fernando Valley Amateur Radio Club W6SD's, Field Day. W6SD was Mr. Ryan's club. While his dayjob from 1969 to 1983, was to teach us kids at JB, his evening volunteer job was to teach two classes per week, Novice and General, licensing classes for three-and-a- half decades, from 1965 to 2000 for W6SD. Ted and his son Roger, AA6EO, both life members of W6SD, were licensed through W6SD's licensing class. W6SD members sort of adopted JB. Members frequently dropped by as guest speakers, to help with code practice, help repair radios and build kits. 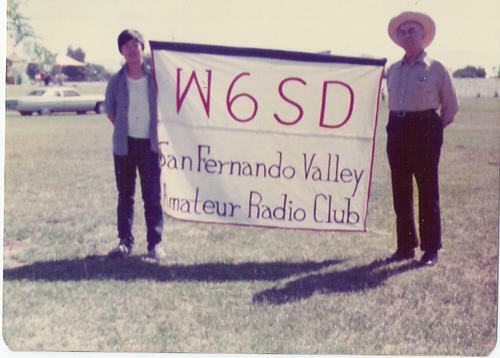 Over Christmas vacation in 1970, W6SD contribute to and help raise the antennas of the newly formed John Burroughs Jr. High School Amateur Radio Club. The club was named the Edward Tapscott Memorial Station, W6TDM. Tap was a blind African-American W6SD member who was a silent key and Ted's dear friend. Field Days not only gave us a chance to have an adventure, but we got to meet the older kids Ted licensed before us at JB, as well as the people he licensed at W6SD or tutored at home. At Field Day we got to see how real grown up hams did things. We learned alot. We imitated them when we went back to JB and to our school club. (c) Cliff Cheng, 1976. ALL RIGHTS RESERVED. (above) Cliff Cheng, WN6JPA (now AC6C) and Ted Ryan, WB6JXY. This precious photo is the only one I have of Ted and I. The Sepulveda Basin is a flood control plain at the northwest corner of where the 405 and 101 freeways meet. It is the biggest open space in the San Fernando Valley. There was no shortage of room to put up all the antennas we wanted. There were also lots of insects. 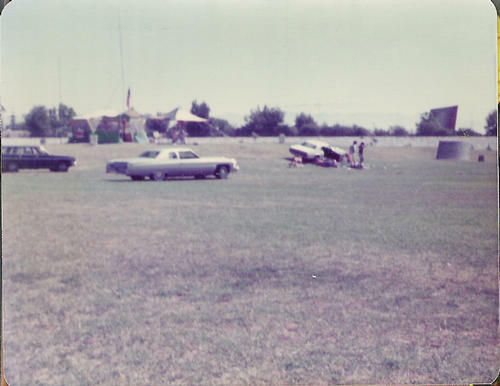 We were there for Field Day in the 1970s. This field day site had to be abandoned. There were concerns about crime. We were out there alone with expensive equipment in an isolated location. Notice the drive in theatre in the background. This feature more so than the cars dates the picture. Drive-ins are a relic of the past when we had less population and lower real estate prices.